A 9-year-old girl is in critical condition and two others were injured after a car crashed into the departures area in Terminal 7 at the Los Angeles International Airport Sunday. LOS ANGELES -- A 9-year-old girl is in critical condition and two others were injured after a car crashed into the departures area in Terminal 7 at the Los Angeles International Airport Sunday. The driver, passenger and a little girl were transported to a nearby hospital. The driver and passenger suffered non-life-threatening injuries, Los Angeles Fire Department officials said. 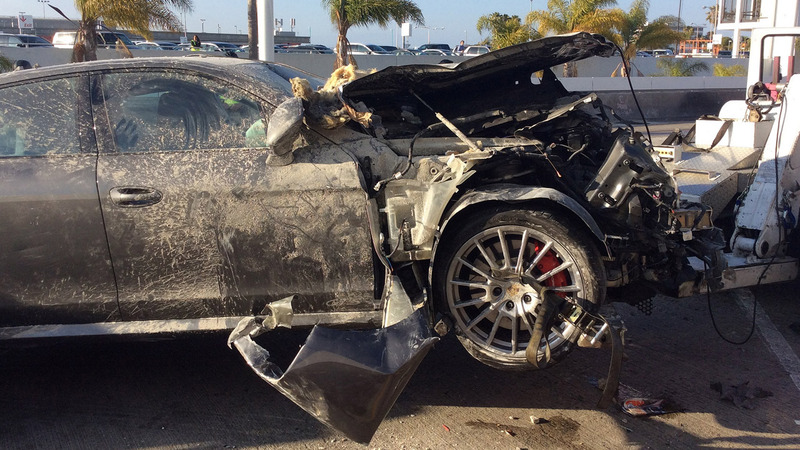 At 5 p.m., Los Angeles Airport Police responded to Terminal 7 on reports of a car accident. The driver of a Porsche Panamera drove into the terminal, crashing into an external supplies room right above the stairwell. Authorities said the 67-year-old driver hit the gas instead of the brake, which resulted in the crash. The girl was with her mother and siblings at the time of the accident. Authorities said the driver was not under the influence of any substances and has no known medical conditions. Several lanes were closed at the departures level at the airport and traffic was redirected temporarily. The structural integrity of the wall was evaluated after the car was removed from the wall. Three people, including a 9-year-old girl, were injured after a car crashed into a terminal at the Los Angeles International Airport Sunday.